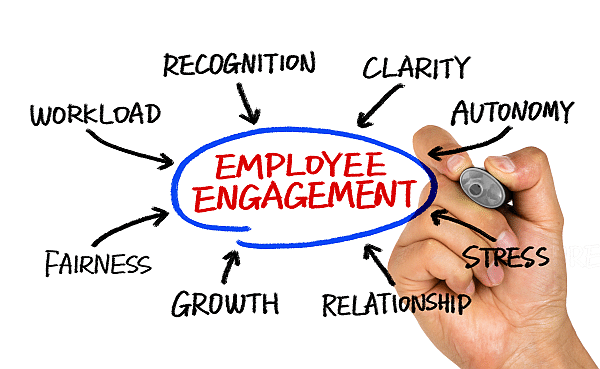 Maintaining a high level of employee engagement will improve team efficiency. But how do employers create a more motivating and rewarding system to encourage employee engagement? After all, what makes any company highly efficient is having employees who have passion for their work, which in turn means they are willingly putting more effort into their respective roles. These engaged employees help to create a safe and happy work environment, are dedicated to the company and efficient in their work. Employees who are more committed and motivated excel and provide better results. When you put emphasis on how employees can contribute to the company’s success in the marketplace, you are enabling them to find real purpose in their roles. With the right mindset, no matter if they are a Press Helper or Supervisor within the organization should not matter; it can be as simple as contributing quality performance to their respective departments or supporting internal clients / colleagues in other departments. What is so vitally important is to enable employees to see that their daily efforts contribute to the company’s goals. When implementing a plan to improve team efficiency, your employee engagement program should focus on more cooperation yet include some healthy competition. Effective teamwork shows how employees get along with each other. Within a business, employees are working towards a common goal, a shared success. Encourage employees to use their social skills to help each other to attain their goals quickly and efficiently. An effective team also discards the potential formation of “workplace politics” where instead of working together, employees will work against each other. Competition can be toxic for the work environment when workplace politics weigh heavily. Many who have worked for very large Fortune 500 companies know how common this gets in the way of moving forward. Encourage employees with healthy competition that results in faster production, higher quality, or learning something new. Show appreciation for a job well done greatly boosts employees’ morale and motivation. This simple gesture goes a long way and encourages cooperation and healthy competition when hard work and accomplishments are acknowledged and rewarded. Requesting feedback from employees is a way to share viewpoints and concerns and find the best solution. Feedback encourage employees to know what could make them detached in their work and find the best solution to increase productivity and focus. When you communicate with employees to raise awareness of what could be done to improve team efficiency, the overall work environment. Overtime and strict work hours fails lack vision and understanding of how to meet employees needs. We often hear how employees get discouraged due to a lack of flexible working hours. With little time for their friends and family or other hobbies, this quickly leads to employee burn out. Companies who offer flexible working schedules or rotting flexible shifts means more productive employees which improves team efficiency. It gives them more time to de-stress and focus better to their assigned tasks. Senior management should make it a priority to take the time to listen to their employees’ needs and what motivates them. The problem is this is not on a continual basis, but on average a once or twice a year thing. Employees see that as very little effort by the company to understand and create opportunities and challenges for employees to develop an engaged mindset.